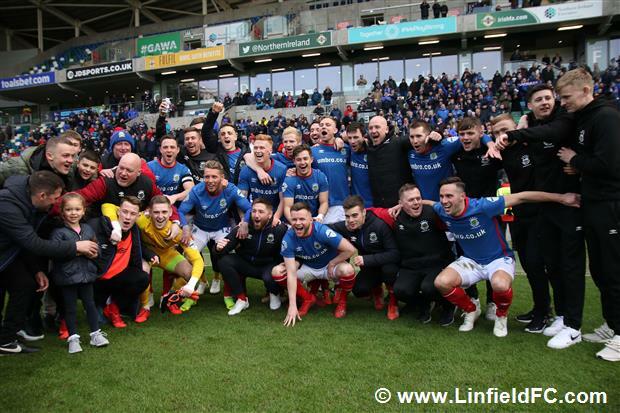 It’s coming home! 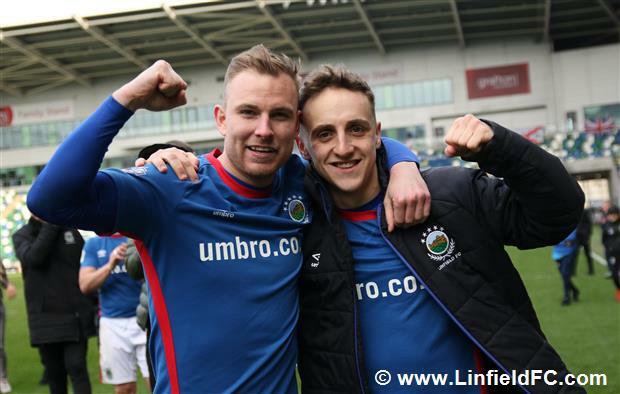 That was the chant of jubilant Linfield supporters at Windsor Park this afternoon as the Blues clinched their 53rd Irish League Championship. 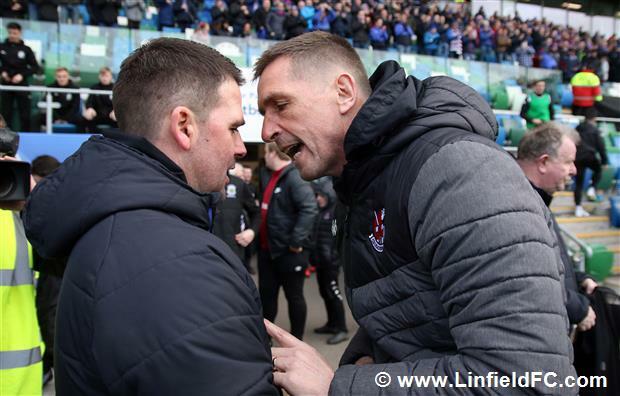 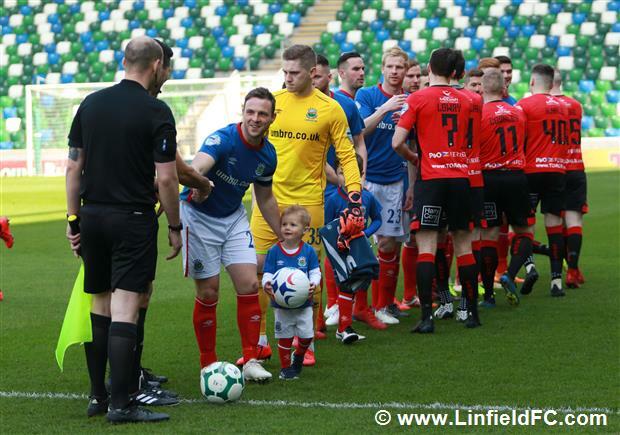 David Healy’s men knew they only needed a point to ensure that the Gibson Cup would be returning to Windsor Park, and they managed just that with a goalless draw against outgoing champions Crusaders. 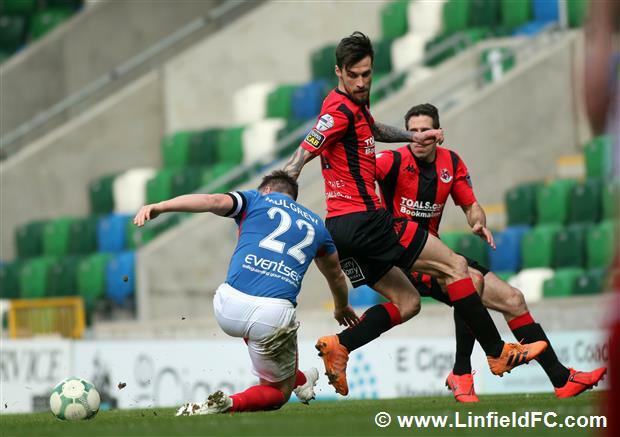 Inform goalkeeper Gareth Deane had to be alert on 25 minutes when Crusaders midfielder Philip Lowry got a glancing header to Heatley’s cross and the goalkeeper produced a great instinctive save. 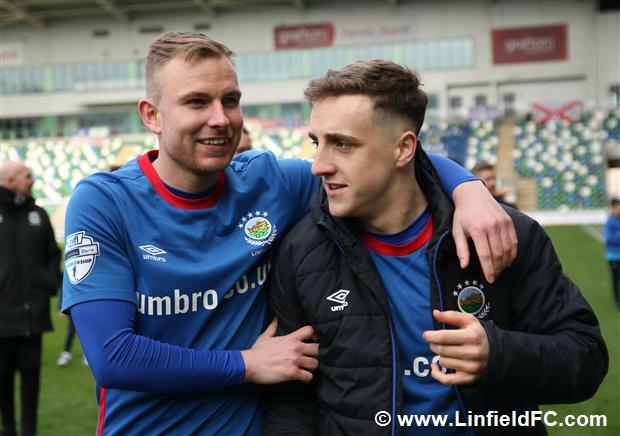 Daniel Kearns went close for Linfield with a speculative effort from outside the box but he volleyed a shot just over the crossbar. 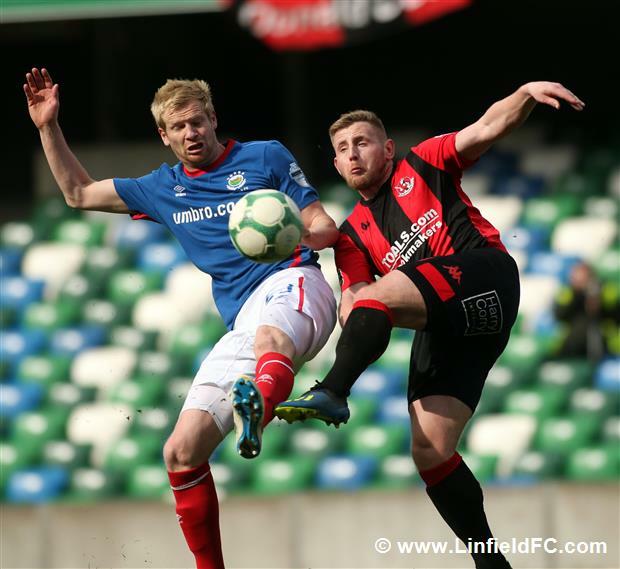 Ronan Hale also tested Gareth Deane on two occasions after making space to shoot from distance but twice Deane showed good handling. 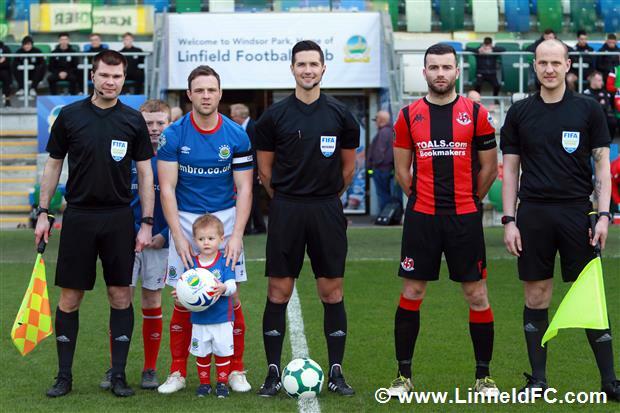 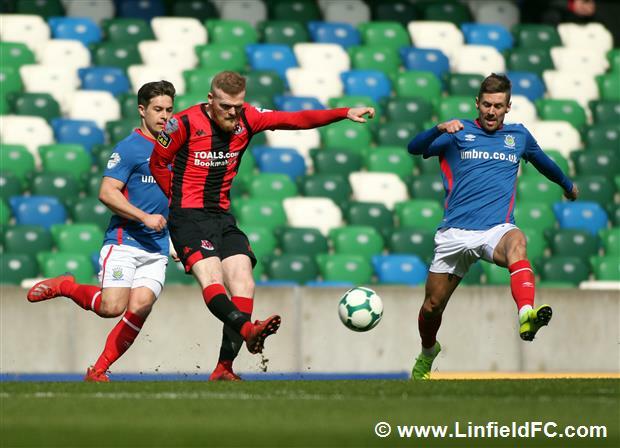 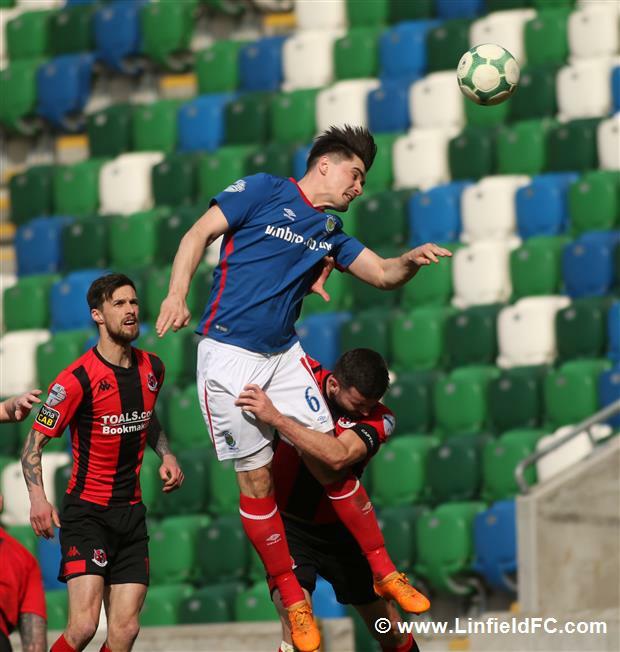 Minutes into the second half Linfield had penalty appeals waved away when Joel Cooper went down under a challenge before Crusaders raced away on a counter attack. 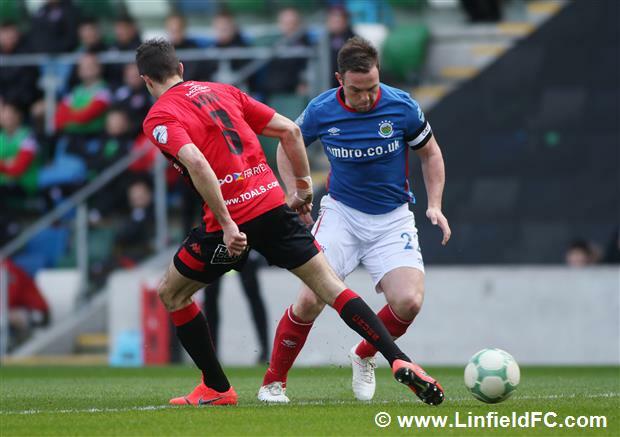 Paul Heatley’s pace took him beyond Callacher but Deane was out sharply to make a great block. 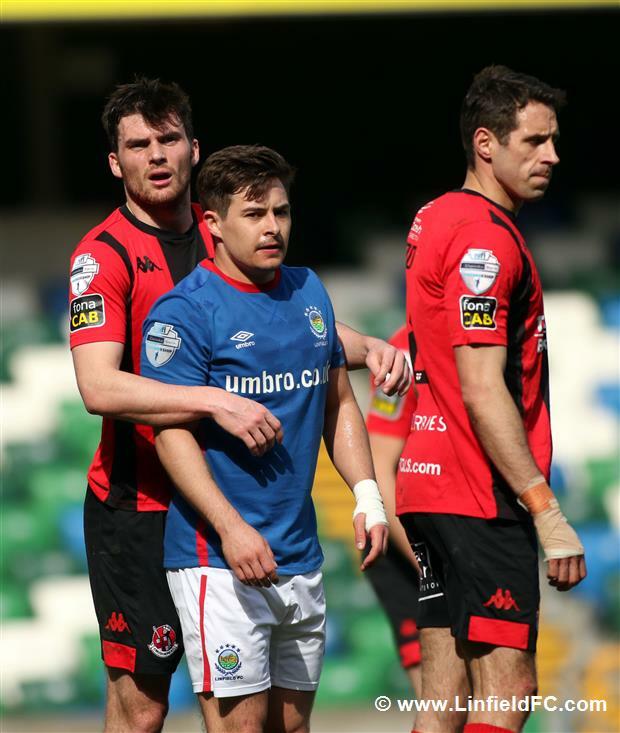 The Blues then got their penalty on 53 minutes when the ball was handled in the box. 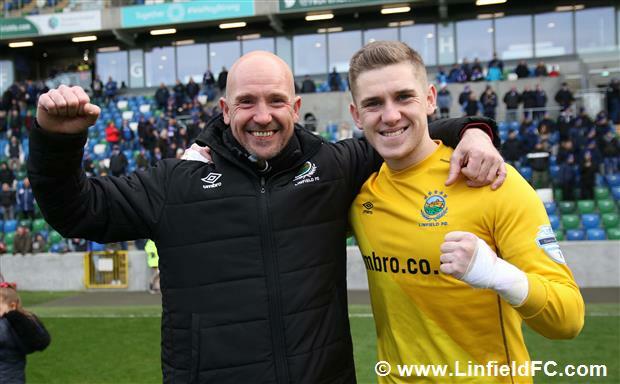 Jordan Stewart stepped up to the spot but was denied by a great save by the outstretched Gérard Doherty. 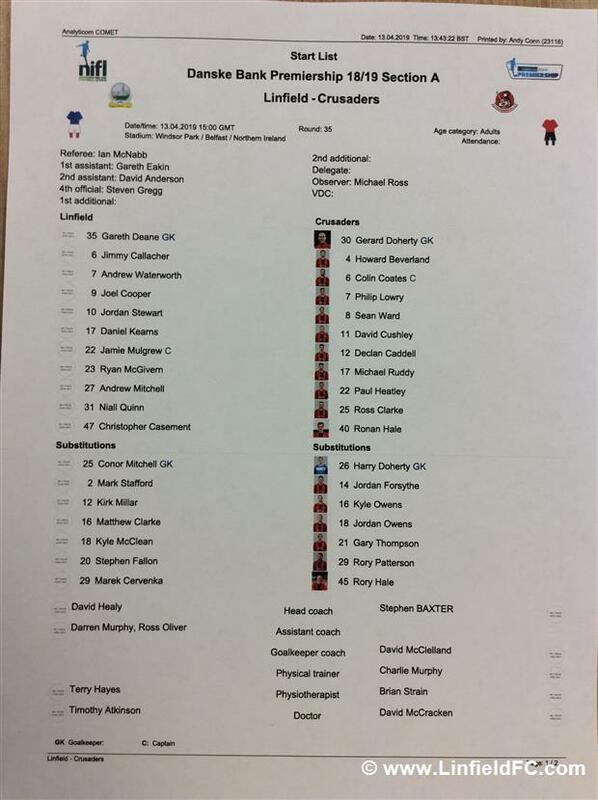 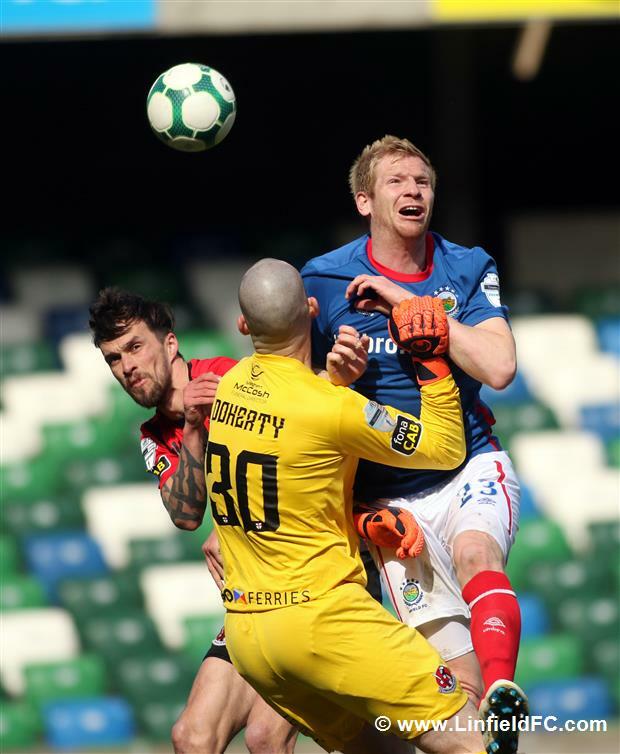 Ryan McGivern went agonisingly close to an opener when he connected with Niall Quinn’s corner but Doherty came to Crusaders’ rescue again with another great save. 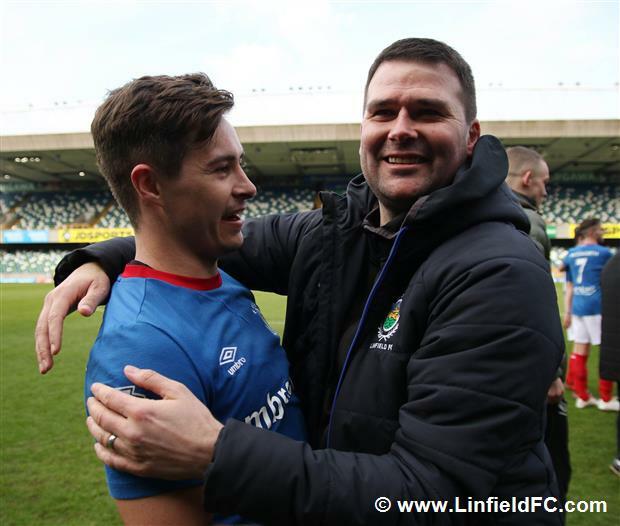 The Blues went within a whisker once again when Fallon exchanged passes with Niall Quinn before squaring the ball across goal but no Linfield player was on hand to fire it home. 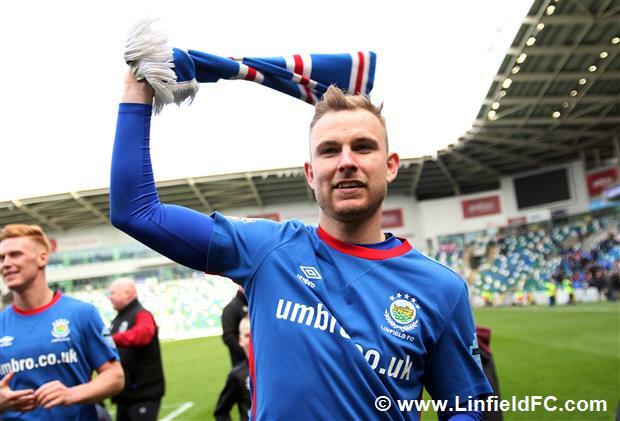 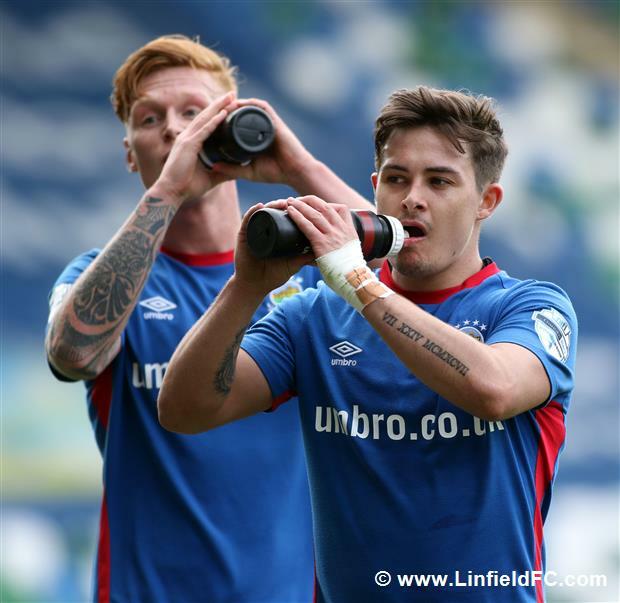 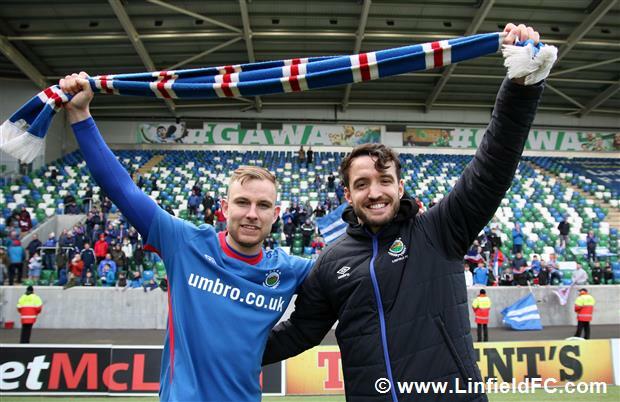 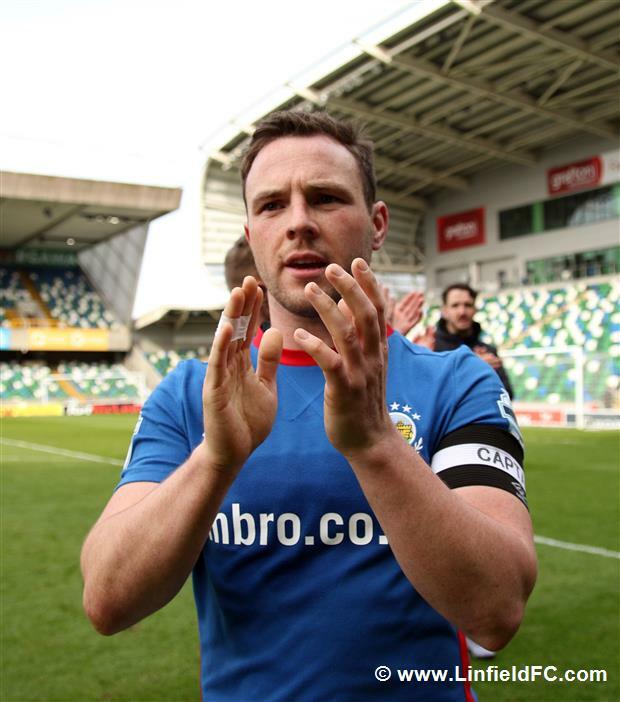 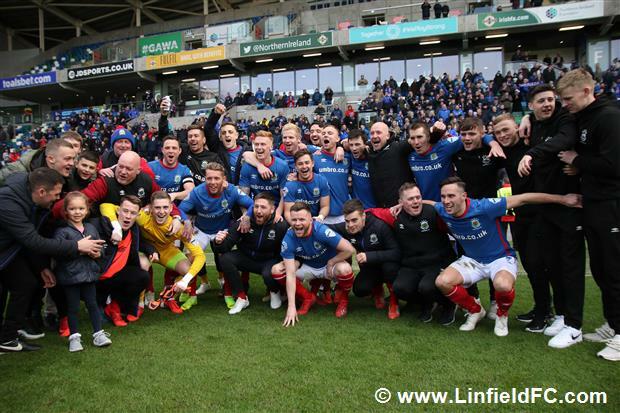 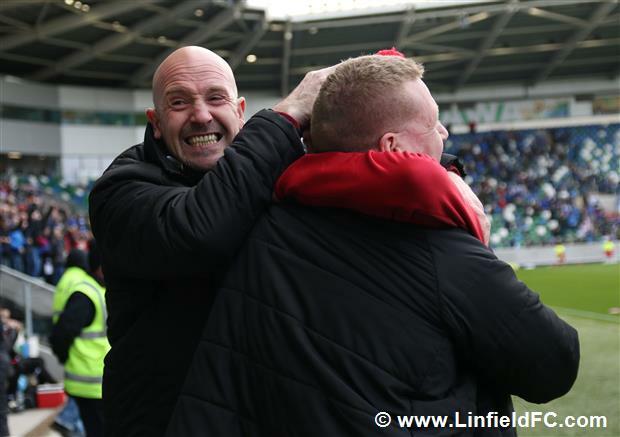 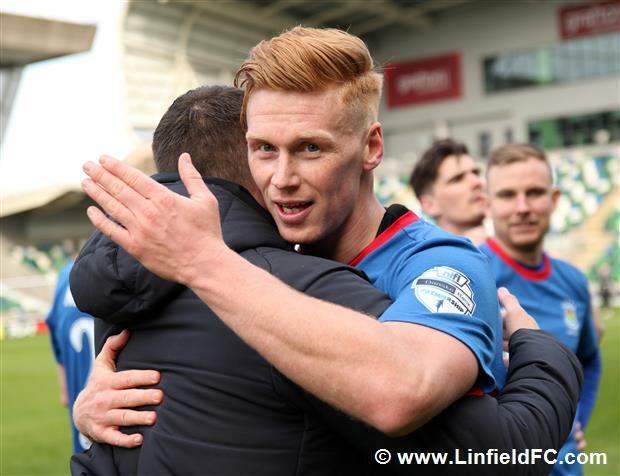 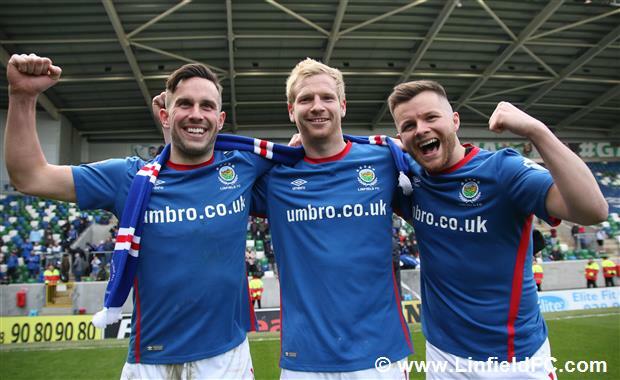 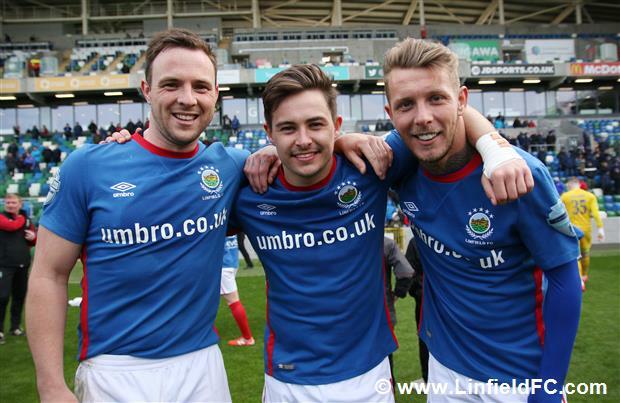 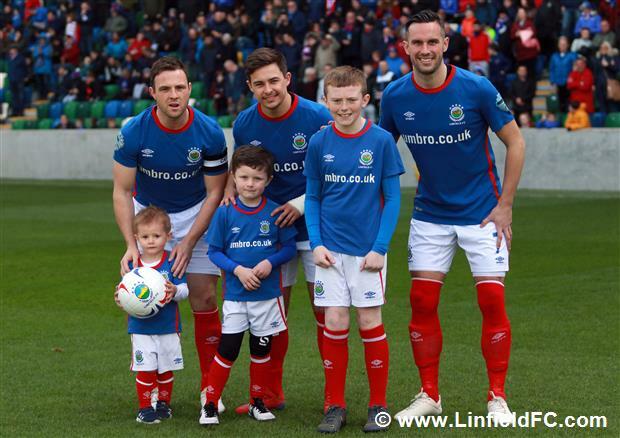 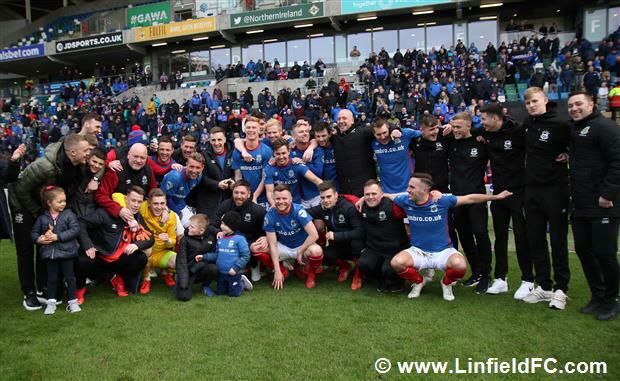 Jordan Stewart almost hit a stunner late on with a dipping volley from distance which flew past the post but it mattered not – Linfield were champions for a 53rd time. 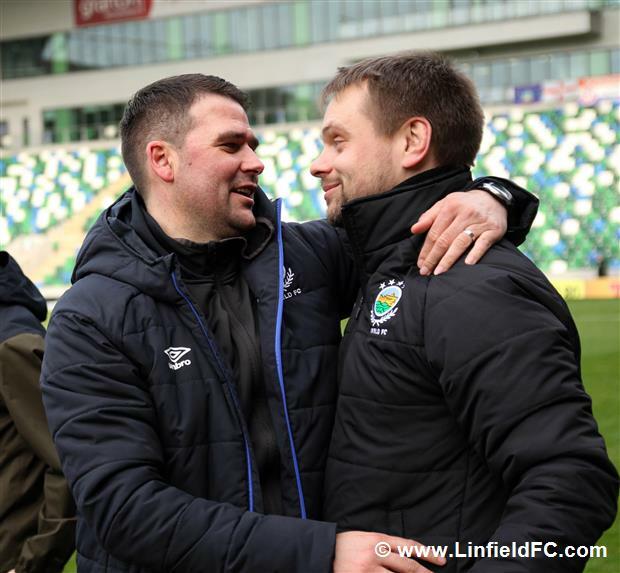 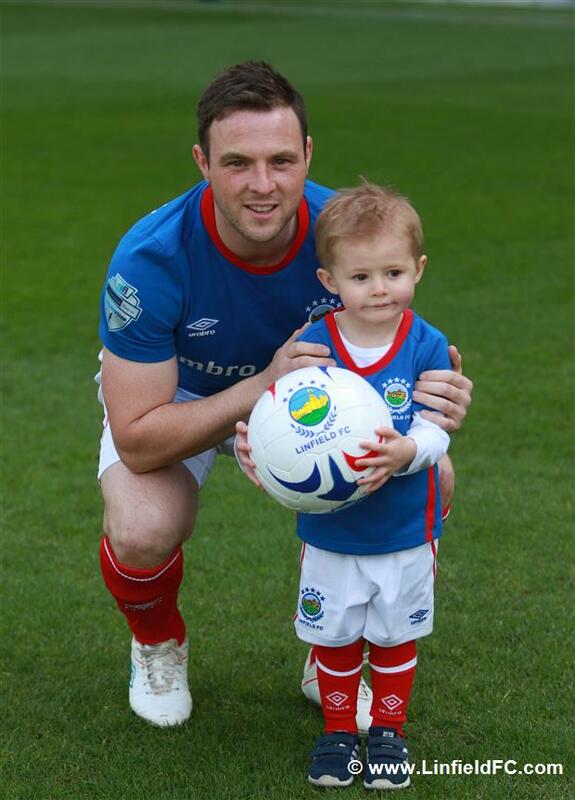 A massive well done to David Healy, his staff and players.